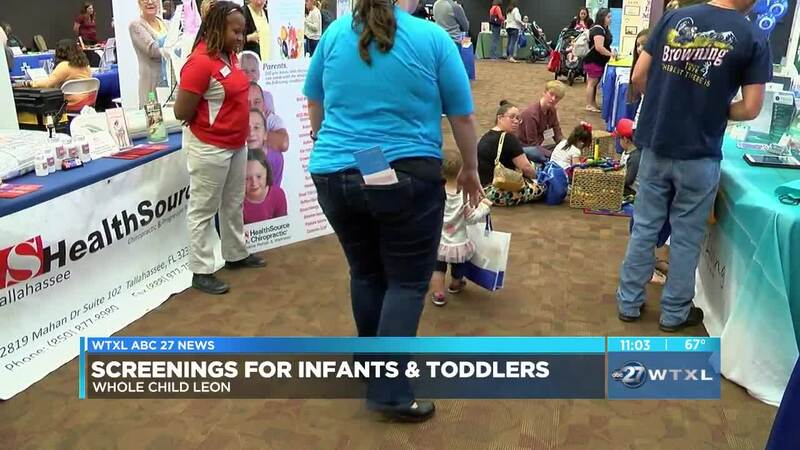 LEON COUNTY, Fla. (WTXL) — Parents of little ones often wonder does my child have a developmental delay? Friday marks the 10th year Whole Child Leon has put on this event. "If you intervene early, you can change the life trajectory of a child. And that's what happened to my son," said Hope McPhail. Hope McPhail started noticing obsessive habits in her son when he was two years old. Her pediatrician told her it was just a phase but she felt differently in her gut. "Had I ignored them, or not intervened, or not sought services, I'm not sure where my son would be today," said McPhail. McPhail brought her son to one of Whole Child Leon's screenings where her son was diagnosed with obsessive compulsive disorder. "He was able to develop and learn through his therapy coping strategies so that those tendencies didn't dictate how he was going to live his life. Now his disorder has been downgraded," said McPhail. And that's the goal of these screenings, early detection. They look at vision, speech, behavior, growth and motor skills. Whole Child Leon says 65% of the children screened have at least one developmental delay and these early interventions have helped almost nine hundred families. Many parents say sometimes knowing where to get help is the hardest part. "As a parent myself, you want the best you can find for your children. And moms sometimes with young children don't know where to turn. We know that early intervention is key to success in the life of a child," said Rep. Loranne Ausley. These screenings start for children who are six months old up to those who are starting kindergarten. "It really does help set them up for success as they enter kindergarten and we're so big on kindergarten readiness because those first years are crucial to the learning ability of children," said Shonda Knight. Making sure all is healthy and happy in the constantly evolving world of a child. These free comprehensive screening are Friday from 8:30 a.m. to 12:30 p.m. at Children's Medical Services in Leon County.